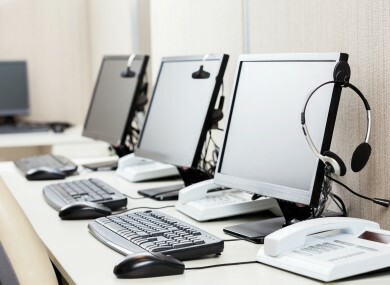 WORKERS AT IRELAND’S 999 call centres have voted in favour of strike action. Members of the Communications Workers’ Union want their employer “Conduit Global” to pay a living wage of €11.50 per hour. The union added that the threat of disciplinary action against workers for spending too long in the bathroom still stands. However, Conduit says it has improved working conditions for staff but added that the ‘no toilet breaks policy’ exists in the emergency call answering service. Commenting this evening following a meeting of 999 call service workers in Navan, Ian McArdle of the CWU said the action is likely to include a 12 hour work stoppage over the next few weeks. Conduit Global has stated that a robust contingency plan is in place to operate the Emergency Call Answering Service in the event of industrial action. In a statement, Conduit said no toilet break exists. “No ‘Toilet Break Policy’ exists in the Emergency Call Answering Service. Operators have a number of breaks throughout their shift. “These include three 15 minute breaks, a 30 minute break, and a further allowance of 19 minutes per twelve hour shift for Display Screen Equipment (DSE) to enable short frequent breaks to ‘rest one’s eyes’ from the screen. BT added that the CWU statement was “disappointing”. ““It is very disappointing that a trade union, which is not recognised by BT or Conduit, has decided to take this unnecessary course of action in relation to the vital emergency call answering service. Email “999 workers vote in favour of industrial action in row over pay and 'length of toilet breaks'”. Feedback on “999 workers vote in favour of industrial action in row over pay and 'length of toilet breaks'”.